The volume provides a unique dual perspective on the evaluation of spoken discourse in that it combines a detailed portrayal of the design of a face-to-face speaking test with its actual implementation in interactional terms. 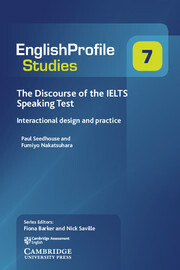 Using many empirical extracts of interaction from authentic IELTS Speaking Tests, the book illustrates how the interaction is organised in relation to the institutional aim of ensuring valid assessment. The relationship between individual features of the interaction and grading criteria is examined in detail across a number of different performance levels. 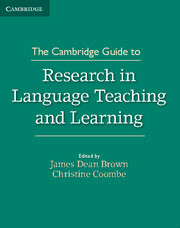 This book provides an up-to-date and comprehensive overview of research methods in second-language teaching and learning, from experts in the field.